I had my first opportunity to preach in our church's main service this past Sunday. (You can check out the video here.) Now, I've been preaching/teaching students since I was 19 years old, sometimes multiple times a week. And I doubt that there's a tougher crowd to teach than a large group of junior highers (try keeping their attention when you've just been shot in the face with a foam finger dart by an 8th grade boy). I've spoken at camps, led fellow pastors, and been told I have a spiritual gift of teaching. Yet it's still terrifying. Every time. My stomach churns, my hands get clammy, and I wonder who made the foolish decision to give me a microphone. I'm not anxious because of me, scared that I'd make a fool out of myself. I'm anxious because teaching is a HUGE spiritual responsibility. James puts it this way: Not many of you should become teachers, my brothers, for you know that we who teach will be judged with greater strictness. Hebrews says that leaders will have to give an account as those who watch over the souls of the church. Judged with greater strictness. Giving an account before God. Watching over souls. Right. Because while I'm responsible for my actions and words and tone and preparation, I cannot transform a person's heart. Only God can. I'm called to faithfully lead, to be in Scripture and prayer, to lovingly come alongside people and point them to Christ. I'm not held responsible to do what only God can do, but I am to make every effort to be faithful. There's a weightiness to spiritual leadership--an emotional one, for sure, but also a spiritual weight of watching over people's souls. And I'm learning that the anxiety I feel before teaching is okay, because it reminds me that in my own strength, I really can't do anything. I'd prefer the tummy butterflies over arrogance or flippancy. I like to think of myself as the microphone for God to speak through, a tool used to amplify a message so that more people can hear it. The microphone isn't doing the true speaking; it's simply a necessary conduit for the true message to be clearly communicated. 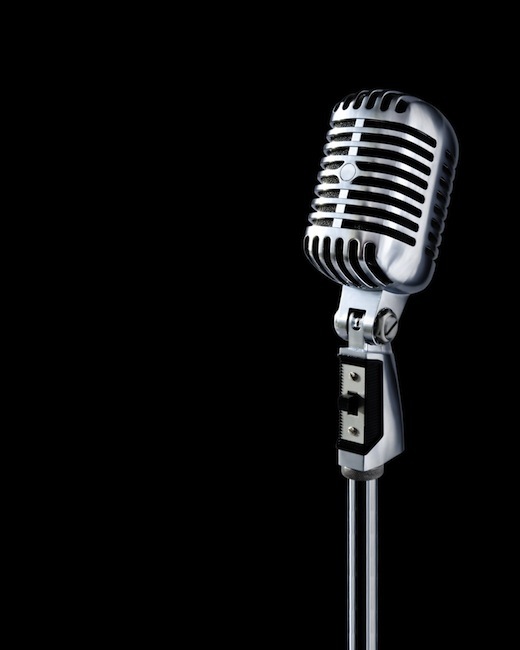 I just want to be a humble microphone, grateful for the weighty gift of teaching and leading. If you preach/teach, do you still get nervous before speaking? And click here to see the message I preached this past Sunday. Hey Joel, that is great! I totally resonate with the reasons for the butterflies. I have been preaching every week at our evening service for two years and different about once a month or more in the morning for about three to four years and it never goes away. I am usually troubled if there are no butterflies. The wieght of faithfulness is a good but heavy weight. I feel that prep is the most intense. Actually giving the message is pretty fun and freeing if I have done my work and keep focused on Who I am talking about instead of what I am talking about or what people may think. Eugene Peterson's son once told him that he only had one sermon and how he didn't like to hear preachers who hadn't found their "sermon." I think I am most invigorated when I stay within my "sermon" or my voice, and most hesitant when I try to immitate someone else's or make apology for my own. But still, the pre-preaching stomach growl remains. 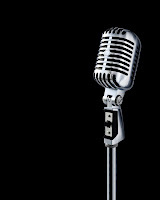 I like the metaphor of a mic, because all we do is amplify the Word made Flesh. Thanks for sharing your thoughts and keep preaching friend.